In the past few years, McDonald’s has done some revamping around their Happy Meals. They’ve downsized their kid-sized fry. They’ve offered fruit like apple slice and Cuties oranges as options for sides. They’ve provided low-fat dairy options like one percent white milk, fat-free chocolate milk, and Go-Gurt yogurt. They’ve removed artificial preservatives, colors, and flavors from their Chicken McNuggets. 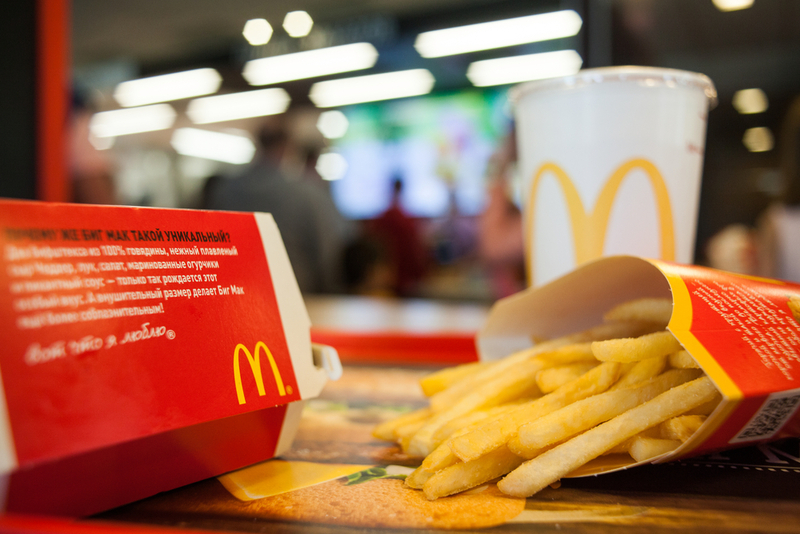 However, some parents can still be hesitant to bring their families to the golden arches for more than just a special treat—especially when they know they might end up bringing back home another plastic figurine. But a limited edition offering in Happy Meals next month might just warrant a trip. In honor of National Literacy Month, McDonald’s is giving out a free miniature-sized book with every Happy Meal purchase from September 5 to 18. Yes, that’s right—a book! The fast-food chain is partnering with HarperCollins Publishers to include a copy of Pete the Cat’s Got Class by James Dean, Amelia Bedelia’s First Day of School by Herman Parish, Just A School Project by Mercer Mayer, or If You Take a Mouse to School by Laura Numeroff in each Happy Meal box. Books will be available in both English and Spanish, in select locations. And if free books(!) weren’t exciting enough, McDonald’s is also teaming up with Reading Is Fundamental (RIF) to offer families an extended experience around the featured books with a new digital portal. On the site, families can access lesson plans, puzzles, activities, and reading passages for all levels to keep the reading going! What could be better than reading with your family? Well, promoting literacy nationwide. McDonald’s is also supporting RIF’s efforts by donating approximately 400,000 books from the promotion to reading efforts and programs nationwide. That’s something McDonald’s and parents can agree on.